Damn! I traveled with that group, People to People, two years ago in Japan, and we went to a Hard Rock Cafe! 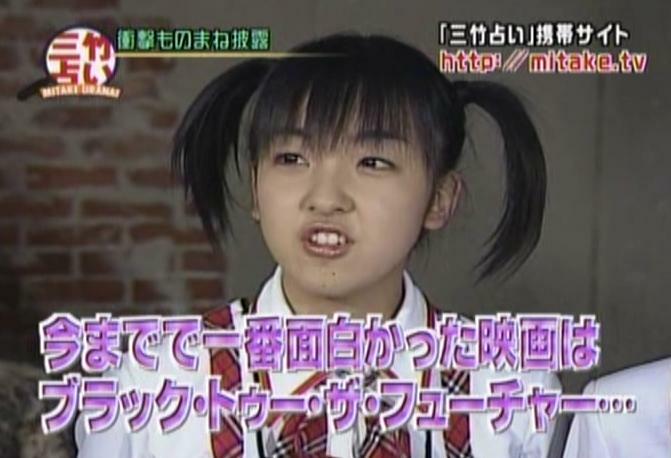 I wish AKB48 members came up to me back them, hmph! ^ Not even Trick or Trick; it's Trick Trick! Rena's such a pro. She also pwns at French! French? 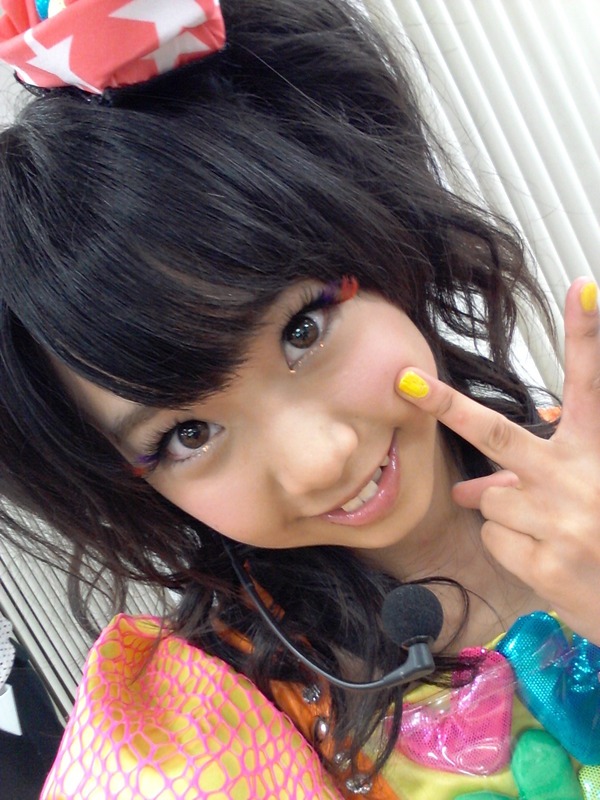 made me think of Rena's Paris inspired puns segment on the radio show, but I'm betting its from AKB48 concert in Paris. I don't remember seeing the MC of that though. oh duh, how can I forget the spoken part from Kinjirareta from Paris. anyone can translate what she said? man that was french ? ok ok...so somthing like...quand tu seras fatigué... tu te reposeras...éteindras la lumière...et m'aimeras ...car c'est dans nos rêves que notre amour sera éternel. sorry, that's all i got... probably meant something like "honey blablabla when you come home tired blabla you will get a rest, shut the light off blabla will love me because it's in our dream that y/our love will be eternal"
I don't know what this is from, but it's cute Miichan, so..
^ That was from when they were in New York for the anime festival. I think it's from the DVD that had clips from both that and when they were in Cannes. But it could also be from the TV special they did about the trip. It's been a while since I've watched either one. Page created in 0.367 seconds with 14 queries.